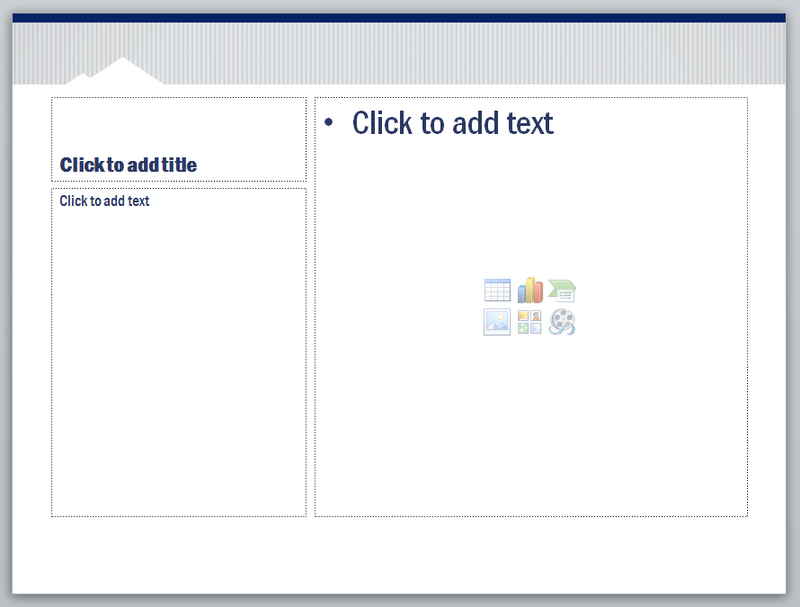 Designed Title and Interior sides, and implemented a new PowerPoint template. 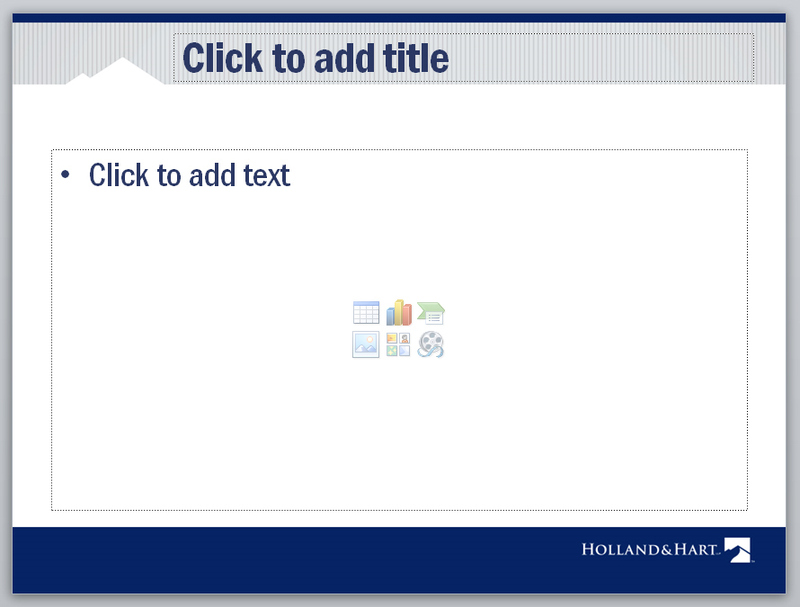 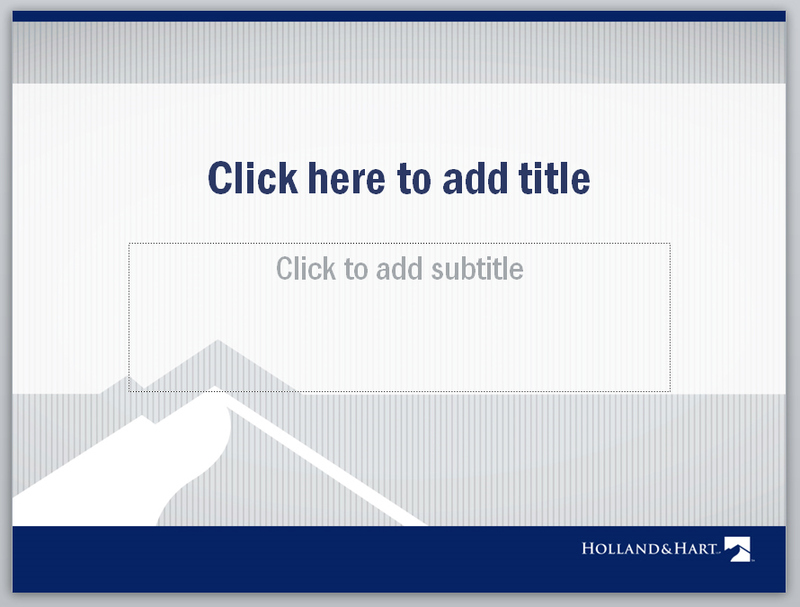 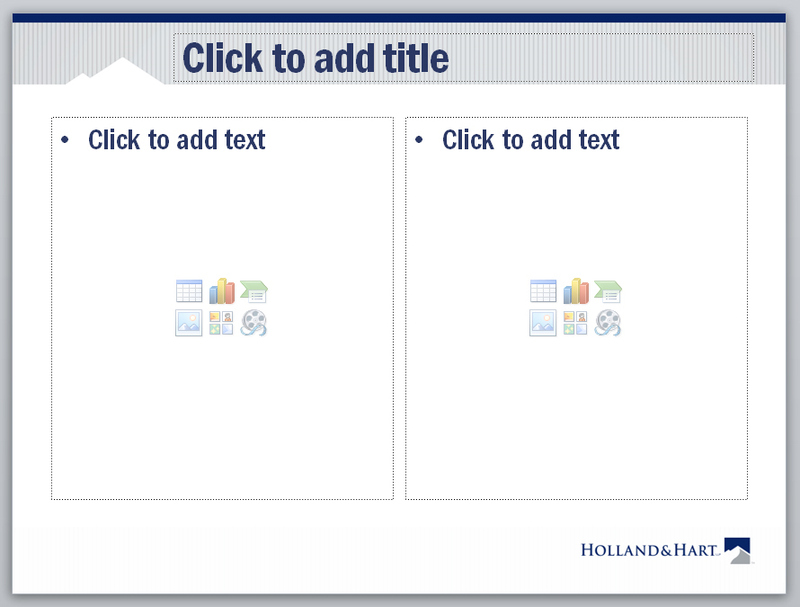 Designed title design, main page design as well as multiple interior pages for a new Holland & Hart PowerPoint template to be used firm wide; implememtned new custom template in PowerPoint. 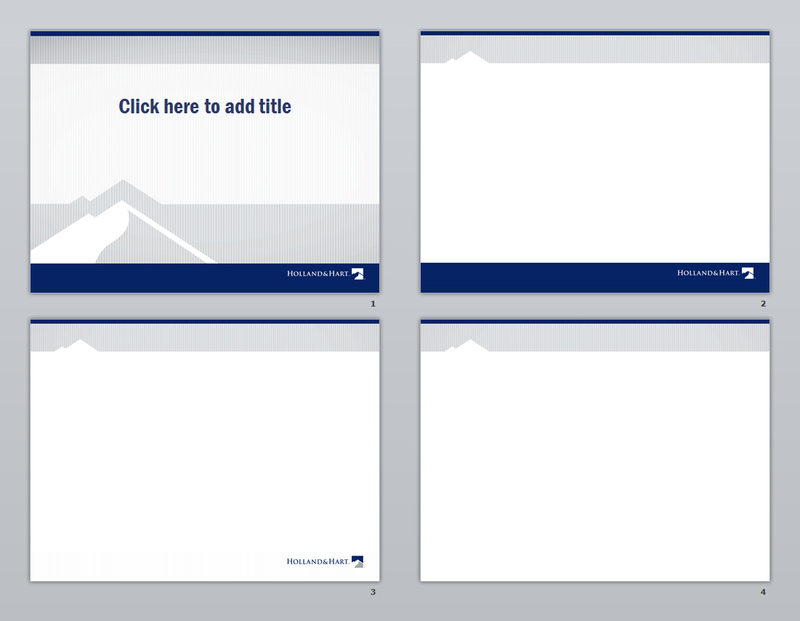 Over 20 different templates had been in use prior, this new template replaces all for consistant collateral design.